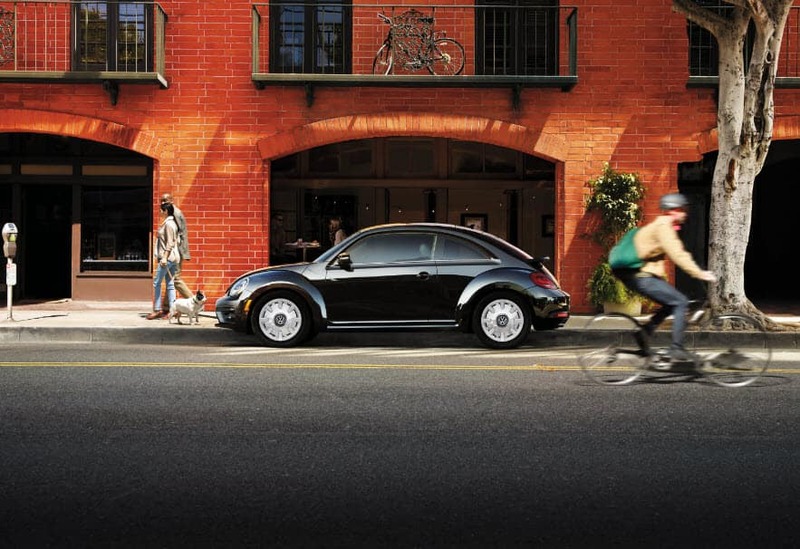 Fun and quirky, the Volkswagen Beetle has always been an icon—and it remains that way to this day. In fact, 2018 sees many improvements to the Beetle that will make it stand out more than ever before. It truly is an excellent vehicle for commuting around Lee’s Summit, North Town, Overland Park, Mission, and Olathe! If you’re interested in the 2018 Volkswagen Beetle, you may have done a bit of research on your own already. Maybe you’ve looked at its fuel economy and engine specifications. 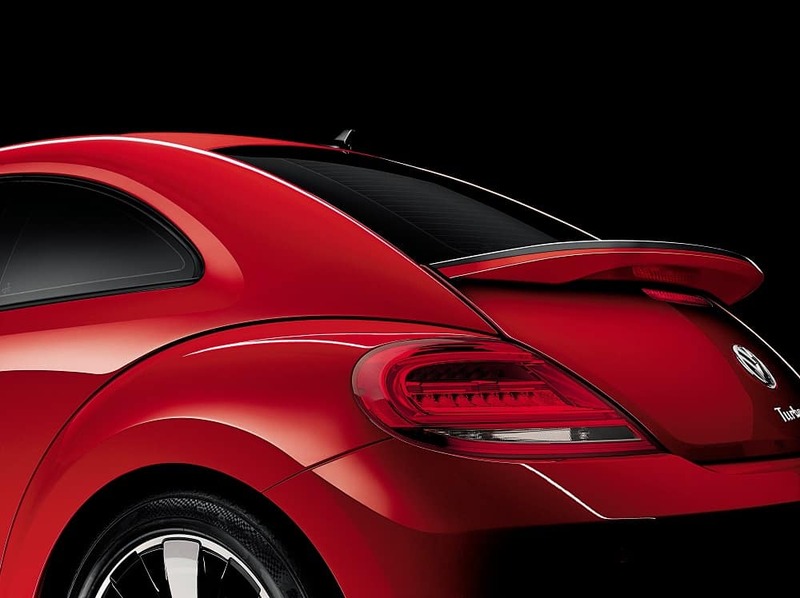 But did you know that there are quite a few 2018 Volkswagen Beetle trim levels to choose from? To help you decide on the perfect one, our team at Volkswagen Lee’s Summit will be reviewing them for you below. Right off the bat, the base-level 2018 Volkswagen Beetle packs plenty in terms of performance. Standard is a 2-liter turbo engine that puts out an impressive 174 horsepower. That’s a lot of “oomph” for such a compact car. It also pairs with a six-speed automatic transmission. Design-wise, you get the look you know and love, complete with 16-inch Whirl Wheels and a sophisticated titan black cloth interior. You can also opt for 16-inch Corvara Winter Wheels or 20-inch Monterey Wheels. It’s topped off with halogen headlights and LED daytime running lights for sporty practicality. On the inside, there’s plenty to love. A rear view camera makes backing up effortless, and Electronic Stability Control helps you maintain control over the vehicle in less-than-ideal conditions. A five-inch touchscreen display with Bluetooth® technology and a USB port come along for the ride and should keep everyone entertained. With this trim, you get everything that comes with the S and then some. A sporty front design and rear bumpers add a sleek look, and 17-inch Philadelphia alloy wheels make a statement. Additionally, the interior gets an upgraded look as well, with leatherette replacing the titan black cloth of the previous trim’s interior. Also on the inside, you’ll find an upgraded 6.3-inch touchscreen display with voice control, which will make it effortless to control devices without having to take your hands off the wheel. And you’ll appreciate Volkswagen Car-Net® App-Connect. This handy service allows you to access music, navigation, and other compatible apps from your phone right on your vehicle’s display screen. With vibrant color choices, 17-inch Heritage alloy wheels, and a fun cloth interior, the Volkswagen Beetle Coast evokes fond memories of summertime adventures. Its panoramic sunroof adds to the fun, too—and an available Bi-Xenon lighting package makes it easier to see where you’re going. With the Coast, you’ll get the same features as you would with the S with Style and Comfort—with a few additions. Blind Spot Monitor, for instance, detects vehicles around you as you travel on highways, and Rear Traffic Alert will let you know if there are obstacles around. For those who want premium features, the Volkswagen Beetle SE is sure to be one of the more desirable 2018 Volkswagen Beetle trim levels. With it, you get a host of handy extras that will greatly enhance your driving experience. Available Park Distance Control, for example, provides you with a full view of the vehicle so that you can see objects from any angle. This will make parking a breeze—and backing out, too! You’ll also get a push-button start, heated seats, and all of the features mentioned in previous trims. And, if you want, you can opt for an available Fender® Premium Audio System. With its one-of-a-kind front design, rear bumpers, spoiler, and a Dune cloth interior featuring a contrasting grey and black color scheme with a vibrant yellow trim, this model exudes sportiness. Bi-Xenon headlights are standard, and 18-inch Canyon alloy wheels really seal the deal. Along with its unique styling, you’ll get all of the features in the SE trim as well—truly, the best of both worlds! Our team at Volkswagen Lee’s Summit hopes that this guide to the 2018 Volkswagen Beetle trim levels has been helpful. If you have additional questions or want to schedule a test drive, please reach out to us! We are proud to serve drivers all across Lee’s Summit, North Town, Overland Park, Mission, and Olathe!